CALGARY, July 29, 2015 /CNW/ – Petro-Victory Energy Corp. (“Petro-Victory” or the “Company”) (TSX-V: VRY) announces that further to their press release of July 28, the Company is pleased to announce that Mr. Drew Faulkner has been appointed as a Petro-Victory non-executive director effective immediately. Mr. Faulkner is currently the President and CEO of Olympia Oil, Inc. based in Edmond, Oklahoma and is also majority owner of Oklahoma-based Horizontal Well Drillers (HWD). Olympia Oil owns and operates a number of oil and gas wells across Oklahoma, while HWD is an oil and gas drilling contractor operating twelve rigs. Prior to founding Olympia Oil, Mr. Faulkner was the President of Faulkner Exploration South America from 2008 to 2013, which operated a 176,000 acre concession in northwest Peru until its sale to Olympic Peru in 2013. Prior to that, Mr. Faulkner was President of Faulkner Corporation Oil & Gas from 1997 to 2006 until its sale to Chesapeake Energy. Mr. Faulkner, a graduate of Oklahoma State University, has nineteen years’ experience in many aspects of the oil and gas sector. He and his family still reside in Oklahoma. 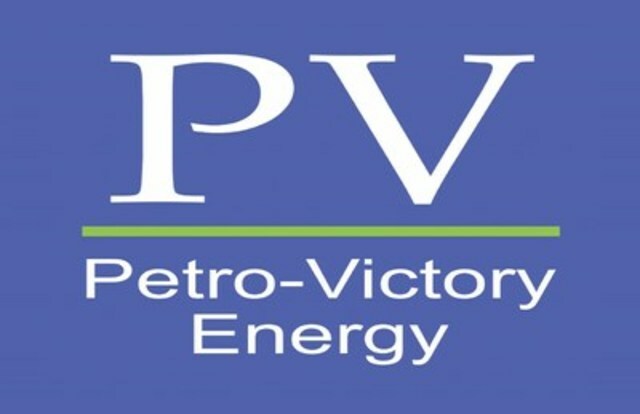 In the interest of providing Petro-Victory’s shareholders and potential investors with information regarding Petro-Victory, including management’s assessment of Petro-Victory’s future plans and operations, certain statements in this press release are “forward-looking statements” within the meaning of the United States Private Securities Litigation Reform Act of 1995 and “forward-looking information” within the meaning of applicable Canadian securities legislation (collectively, “forward looking statements”). In some cases, forward-looking statements can be identified by terminology such as “anticipate”, “believe”, “continue”, “could”, “estimate”, “expect”, “forecast”, “intend”, “may”, “objective”, “ongoing”, “outlook”, “potential”, “project”, “plan”, “should”, “target”, “would”, “will”, “shall” or similar words suggesting future outcomes, events or performance. The forward-looking statements contained in this press release speak only as of the date thereof and are expressly qualified by this cautionary statement. Specifically, this press release contains forward-looking statements relating to but not limited to: the composition of the board of directors, our business strategies, plans and objectives, and drilling and exploration expectations. These forward-looking statements are based on certain key assumptions regarding, among other things: our ability to eventually add production and reserves through our exploration and acquisition activities; the receipt, in a timely manner, of regulatory and other required approvals for our operating activities; the availability and cost of labor and other industry services; the continuance of existing and, in certain circumstances, proposed tax and royalty regimes; and current industry conditions, laws and regulations continuing in effect (or, where changes are proposed, such changes being adopted as anticipated). Readers are cautioned that such assumptions, although considered reasonable by Petro-Victory at the time of preparation, may prove to be incorrect.